In the run up to launch, it's possible we let our hopes run away from us when it comes to Gettysburg: Armoured Warfare. We've seen it a few times in the last two years and each time we've been astounded by the hard work of the one-man development team, fascinated by some of the business strategies which have been imposed on the game and itching to play this multiplayer RTS and third-person shooter hybrid. Now though, at launch, it's clear the game doesn't live up to those mighty, build-up expectations - and we, sadly, are left as disappointed as you may be. It's not even that Gettysburg fails to deliver in just a few key areas either; there are huge mistakes and glaring omissions which cripple the game at even a basic level. It's not just that Gettysburg isn't as much fun as you'd hope, it's that it's often too broken to be any fun at all - and saying that given how much respect we continue to have for Radioactive Software breaks our hearts. This is the thing about the mighty though; they fall. 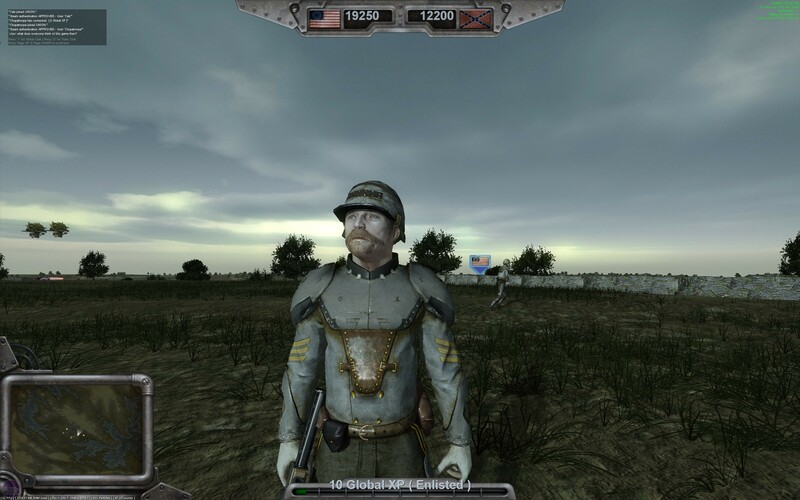 Ostensibly a multiplayer-focused hybrid of third-person combat and RTS planning, Gettysburg is wounded from the start by a lack of even standard customisation and accessibility options. Not only is there no way to change the controls for the game, for example, but there's not even an option to find out what the defaults are. One multiplayer game we played saw players from opposing teams stopping their fight to try and find out if there was a way to zoom with the Sniper's rifle scope. As it turned out, half the players involved didn't even know there was a Sniper class in the game - not that that's surprising given that Gettysburg has neither a tutorial or a manual. In fact, that there's no information anywhere; not even tooltips which describe the aims of the game modes you're about to enter. This would be flaw enough for even the most typical, predictable of games of course - but that it happens in a title which is trying bravely to innovate is a critical failure. There's no explanation for why the US Civil War is used as the setting, nor why it's been mashed together with an alternate, steampunk future. Why are these time-travelling, cannon bearing zeppelins drifting with barely veiled aggression over the skies? We don't know and, while it's tempting to invent some ludicrous reasoning of our own (vampires from the future? ), that'd be like laughing at a car crash. Gettysburg: Armoured Warfare is not a comedy; it's a tragedy. 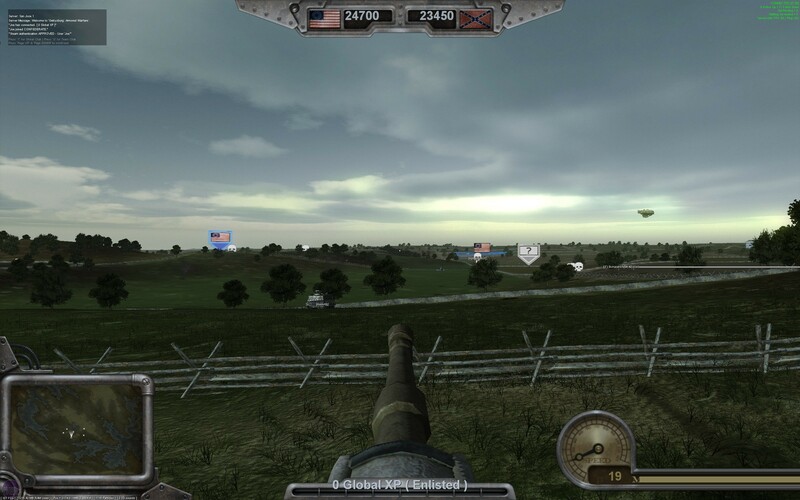 As it is, from our previous experience previewing the game we know that the version of Gettysburg: Armoured Warfare that's been released isn't the one that was originally designed. A number of changes were pushed onto the game over the course of its development and, what was originally intended to be a futuristic freemium title has somehow transmuted into a conventional release with one foot in the past. It isn't a change for the better. And, as I'm sure you can tell, it doesn't get much better from there on in either. Ships just got real, says Paradox of its new 'ubiquitous' multiplayer game. Joe reports from GamesCom on (both) Paradox's retort's to Dungeon Keeper. Valve has flipped the switch on Steam remote downloading from any web browser or mobile device.